Tribes that are young and want the film star Hollywood look. Tribes that are older, have some money to spare and want to look younger but want it with a faultless service. Tribes that have old amalgams and are concerned about their health and well-being. Do you simply SHOUT THE LOUDEST and pay for the biggest ads in the local press, do you offer unrelenting SPECIAL OFFERS that are outlined in a fancy star to grab their attention or do you perhaps use lumpy mail, post it notes on flyers, stamps instead of franked mail and every other trick in the book to get your prospect to buy from you and enter into a transaction? You know what, the answer is yes…. do those things because they work, BUT NOT for a transaction, do it to build a relationship. These are not prospects you are dealing with, they are patients… patients want relationships with their dentist… in fact the world as a whole want relationships, this is why Facebook is one of the fastest growing companies in the world. When you do your special offers and use all the tricks to get that flyer opened make sure you build in a mechanism that helps you to develop a relationship with that person. If all you want is a single transaction (e.g. 2 for 1 whitening) then that is what you will get, some people will respond but many won’t, the ones that don’t out way the ones that do and it is often these that want the relationship not the transaction. Relationship marketing is great for long term growth, building your brand and here’s the killer… getting patients to buy FROM you rather than being SOLD TO. Transactional marketing is ‘selling to’, relationship marketing is ‘buying from’. Can you see the difference? Which would YOU prefer? 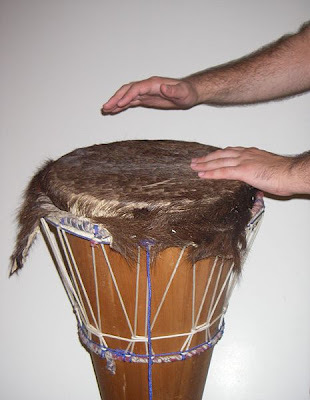 Tribes love the sound of the jungle drums, so get your jungle drums beating a catchy rhythm, get them to join in with YOUR rhythm and interact with them…. they’ll love you so much more than if you just try to sell them the latest special offer. This entry was posted in relationship marketing, social networks on 31 January 2010 by Mark Oborn.